MANILA, Philippines - Mark your calendars folks, May 2 it is! Pac-Floyd square off at MGM, Nevada on May 2, 2015. After more than half of a decade of failed negotiations, we will finally see two great fighters of our era collide. 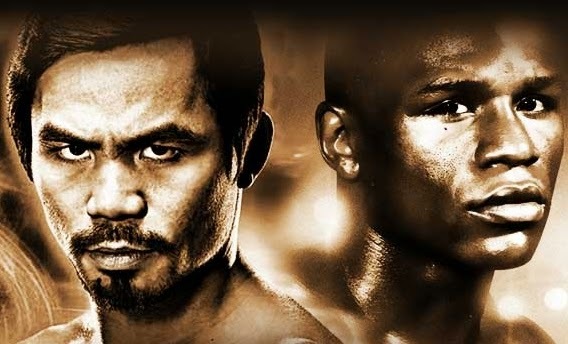 The undefeated Floyd “Money” Mayweather Jr. and Manny “Pacman” Pacquiao will settle everything inside the ring at MGM Grand Hotel, Las Vegas Nevada, USA. The two legends will slug it all out for $250,000,000 and making this bout the richest fight in the history. The contract states that “Money” Mayweather gets 60% of the fight purse or $150,000,000 while “Pacman” gets 40% of the equation or $100,000,000. Now that the table is all set for this greatest sports event ever, the fans in all corners of the globe are excited, the question is: Will the Pac-Floyd be as exciting as it’s being advertised? “It could be a boring fight if both of them try to box each other. Some people have such high hopes for the fight but it could be boring.” Says Amir Khan, Pacquiao’s former stable mate and sparring partner. Considering Floyd’s style of Boxing, Khan might probably be right. Mayweather’s great-wall-of-china-like defense could make this mega fight boring as turtle race. But Manny Pacquiao’s always-on-attack-mode could make all our money worth it. Envision this fight like Pacquiao vs Clottey, Mayweather being Joshua Clottey but more agile and has a great footwork. Another question on the table: Can Pacquiao beat the Undefeated American? We all know that Manny Pacquiao has both speed and power. But, it seems that Pacman has already forgotten to win via knock out. His last KO win was almost 5 years ago against Antonio Margarito and after that, he just won all of his 5 fights by decision. In fact, he was knocked out cold by his arch enemy, Juan Manuel Marquez 3 years ago. "Does he have the killer instinct he once had? I have to answer honestly, I don't think so… He feels that to beat a person, you don't have to kill him or knock him out." Commented by Pacman’s Chief Trainor, Freddie Roach. These words might be a morale booster for Floyd Mayweather. He watched all of Pacquiao’s recent bouts for sure. He is pretty much aware that extra-curricular activities such as: politics, family, basketball head coaching, TV shows and Bible studies diminish Pacquiao’s killer instinct. So he knows his advantages over the Filipino South Paw and possibly one of the reasons why he signed the contract. Pacman might forgot how to knock out his opponents but his punching power still remains. He is still a heavy-hitter. Chris Algieri kissed the canvass six times due to variety of punches that he absorbed from the Fighting Congressman from Philippines. Chris Algieri is 6 years younger than Pacquiao and was once undefeated too, bannering his 20-0 record before bowing down to his recent tormentor. Floyd Mayweather will be turning 38 in couple of days. Will age be a factor? Yes it will be a factor. It became a factor on Pacquiao, where he can no longer book a knock out win and it will also apply on Mayweather. It clearly manifested on his last fight against Marcos Maidana, where he got caught by El Chino many times and even almost decked him once. Records show that the younger Pacquiao is the more experienced fighter than Mayweather. Pacman has 10 more wins and 12 more KOs than Money Mayweather. Speed, Power, Age and Experience are clearly Manny’s edge over Floyd. However, Mayweather has the Height, Reach and Wit inside the Ring advantages. For Manny, he has really nothing to lose. He just wants to make the boxing fans’ wish come true: to see two of the world’s greatest boxers clash. But for Floyd, he has plenty of things to lose: his Immaculate Record, his Pride and his Legacy.